Hiring a well traveled wedding band can be one of the best things someone can do for their special day. An experienced band will be able to provide the diversity, professionalism and peace of mind to make the best of one of the most important days in most people’s lives. The number one reason to go with one of the well traveled bands for hire Toronto has to offer is their diversity. 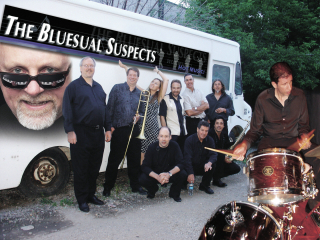 They’ve been around the block a time or two and most experienced Toronto wedding bands can play in multiple genres. This reason plays a bit on the diversity factor, but it’s certainly worth mentioning as well. Hiring diverse live bands for events means they will be able to play to the entire audience. There will be no doubt that they will have something in their repertoire that can get every single person, no matter their musical taste or age, up and dance. A band with the ability to play to the entire audience means creating a memorable wedding experience for everyone involved. The best Toronto wedding bands will have multiple well rounded musicians. A lot of the more inexperienced and modern wedding bands in Toronto base their entertainment almost solely on the strength of their lead vocalist. A well traveled band knows the importance of every sound. Each member has had the time to perfect their craft, and it shows in the overall sound that they’re able to provide. From the slow dances to the upbeat genre, their experience will allow them to do it all at a high level. A band that’s been around for a while will know the importance of professionalism. From the hiring process to actually playing at the wedding, they know the drill and there’s little doubt that they will show first rate class and professionalism. You can also be sure that they won’t be slipping one too many drinks at the open bar. Hiring one of the more experienced live wedding band Toronto has to offer will give the planners of the wedding the peace of mind to know that their entertainment will be taken care of. Experienced bands wouldn’t be experienced if they wouldn’t have provided top notch entertainment and professionalism throughout their careers. They know the drill and they know what they’re at the wedding to do. They’ve played for all different types of weddings and audiences, meaning they know how to improvise in situations where the audience may not be enjoying the process. They will also be able to handle sound issues much better than an inexperienced band would. Well traveled bands have the ability to provide the type of entertainment and peace of mind that everybody wants when it comes to their special day. While hiring experienced top notch bands might be a bit more expensive than going with an inexperienced option, the memories that they’ll be able to create will make it well worth the price.